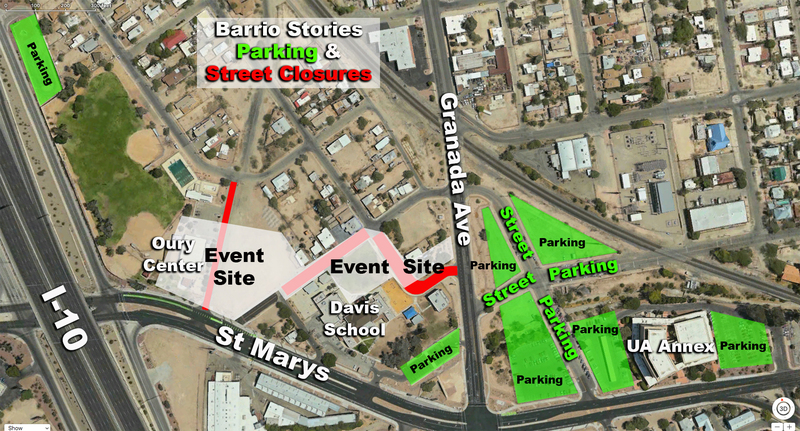 General Public/volunteer parking in University Annex parking lot east of the event side, northeast corner of Granada and St. Mary’s and overflow parking on Barrio Anita residential Streets. Accessibility parking available at Davis Bilingual Elementary Visitor Parking lot. Davis Bilingual Elementary Teacher Parking lot for performers only.